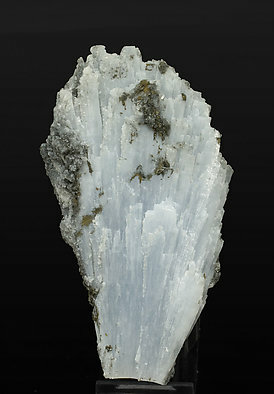 A fanlike group of flat prismatic crystals. They have uniform sky blue color and good terminations. 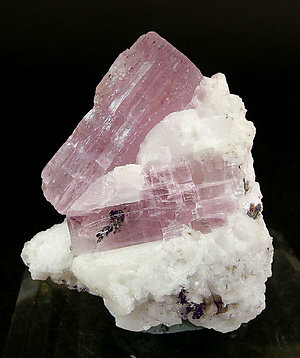 The color and transparency are both very good, as is the position of the doubly terminated crystals on the matrix. Nowadays it is extremely hard to get hold of this material as they came from the construction of the Simplon tunnel. This comes from an exchange with the Zurich museum and has a label from the collection of a technical college.